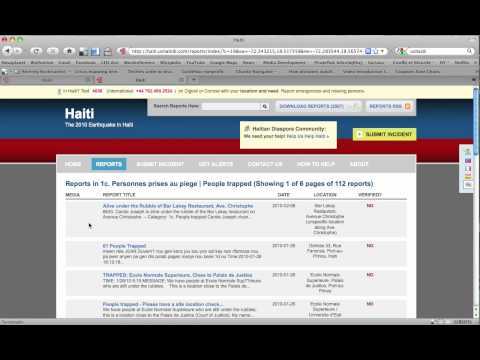 Ushahidi-Haiti: a revolutionary tool for crisis relief response! 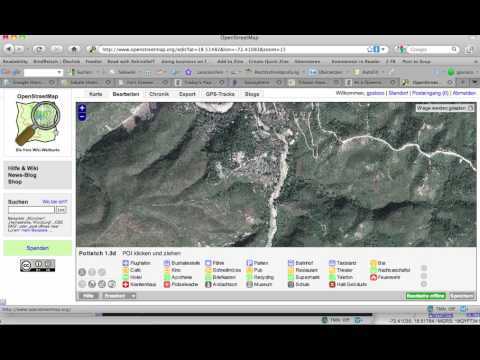 Within hours after the devastating earthquake in Haiti of January 12th, a small group of tech geeks and social activists of Ushahidi had set up an online platform that allowed to gather critical information about the situation and centralize it on an interactive “crisis map.” The site called Ushahidi-Haiti has become an extraordinary communication tool to assist the humanitarian relief efforts on the ground, and address the urgent needs of Haitians in innovative and unprecedented ways. Besides monitoring traditional news media, Ushahidi’s relies on unconventional mechanisms to get information: people can submit reports using the Ushahidi’s homepage, Twitter, or email. If they are in Haiti themselves, they can even send a simple SMS indicating their needs free of charge to the local short code 4636. Hundreds of Creole speaking volunteers, mostly members of the Haitian diaspora, translate and contextualize the messages, and forward them to otherUshahidi volunteers around the world. This second group identifies the exact geo-coordinates of the messages, and locates them on Ushahidi’s map. Then, the data is forwarded to different organizations that provide relief services, like the Red Cross or the United States Coast Guard. At the same time, it is streamed toUshahidi’s database that can be viewed publicly, but in general doesn’t reveal sensitive information like personal telephone numbers. Ushahidi talks about its service on local radio programs, but most information is spread by word of mouth, calling on the Haitian diaspora. Internet or mobile phones are prerequisite too. In short: you need to be connected to get connected! Finding GPS coordinates- not an easy task when they are no maps! Although 35% of the Haitian population have mobile phones, most devices don’t have fancy GPS features. Each incoming messages must therefore be manually located; not an easy task as one volunteer recounts. If the address is unclear, Ushahidi members text back for more information, or communicate with other volunteers in chat rooms or on skype. One of the big challenges for Ushahidi and relief organizations working on the ground has been to get precise maps of Haiti, especially of Port-au-Prince. For that reason, Ushahidi and other mind-liked communities like Open Street Map, International Crisis Mappers, and CrisisCommons, have launched a campaign to map Haiti. Volunteers from around the world work together to create up-to-date maps, using satellite imagery, professional know-how, and and local knowledge of Haiti’s cartography. On a volunteer meeting organized last week byCrisisCommons, I’ve met Tilman, a German journalist and cartographer, who explained me how volunteers improve OpenStreetMap of Haiti. However, it is very difficult to get accurate information from undocumented areas, like informal settlements. 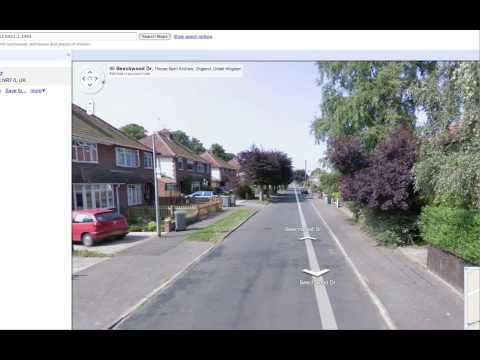 In the future, Ushahidi seeks to work with local communities to create public digital maps of their neighborhoods, following the example of a project in Nairobi, Kenya. Obviously, the most important step is to organize help for the disaster-affected population. Ushahidi is not an humanitarian organization that can provide emergency services. Although it has a full time representative in Haiti to establish liaison with relief organizations, and has experienced some success stories, it can’t guarantee follow-up of all the help requests. The primary objective is to make its data available to organizations like the Red Cross, FEMA , or Plan International, that are free to use them according to their needs and interests. One obstacle represents the verification process. Reports only get marked as verified if more than two messages from different sources describe the same incident. At the moment, this is done manually, butUshahidi is working with Swift River to automate the system in the future. If there exists only one message, the report has to be verified personally, for example by a phone call. However, this mechanism proves to be very difficult. In my research, I’ve met other activists from CrisisCommons volunteering for the Haiti-Earthquake-Information, a web application that worksindependently but in synergy with Ushahidi, and has established contact with the World Food Program. I’ve learned that reaching a person that texted for help can be an complicated and frustrating endeavor. Most of the time, a phone number wasn’t working, or we were directed to the voice mail. On other occasions, we could get through, but a child picked up that didn’t understand who we were. The only effective way is to send a contact person directly to the ground to verify an urgent report. Besides mobilizing concrete actions, it is important to get vital information back to people on the ground. As Internet penetration is very limited in Haiti, and most connections don’t work properly after the earthquake, this is anotherweak point of the project. Though, with the help of FrontlineSMS , Haitians can subscribe to alerts to receive information by text message. This feature most certainly be improved and expanded. Other projects heading into this direction are under-way, like OpenSolace for example. Ushahidi has launched an unprecedented initiative to address the immediate needs of the earthquakerelief efforts in Haiti. Based on pure volunteer efforts, and without the managerial skills of a large organization, it has achieved to offer a comprehensive picture and almost real-time information of the situation on the ground. An extraordinary accomplishment considering the chaos and the lack of information that characterizes the aftermath of a large disaster! The crisis map can be a very useful tool for relief organizations. However, the platforms faces major obstacles in organizing actual follow-up, and getting information back to report senders. In addition, if favors the digitally and socially connected, as access to technology and links to the Haitian diaspora are indispensable. It will be interesting to observe how Ushahidi -Haiti will evolve in the future, and if it will achieve to transform itself into a sustainable platform for development efforts. But first and foremost, I am amazed how complete strangers and such diverse actors have come together to collaborate effectively, and get the platform going. It proves how powerful crowdsourcing can be; the outcome has been stupendous, and certainly beyond any imagination! Ushahidi has changed the face of disaster response for the future. You can better read the text if you enlarge the image. PS: Here you can get a free 15 days trail of Snapz Shot, a software that allows you to film your screen. How can an SMS get help for a trapped person in Haiti? Shorty after the earthquake, Ushahidi launched a new online mapping platform to assist the humanitarian relief efforts in Haiti. The idea sounds simple: people can send a text message to an indicated short number to communicate their needs and request help. But how does this system work? Even in New York, it wouldn’t be easy to set a rescue operation in motion by a simple SMS. Effective coordination between the different emergency services, like the ambulance association and the police and fire departments, requires excellent information exchange. However, communication often collapses in the wake of natural disasters, creating situations characterized by chaos and lack of information. How do people get in touch with each other? And how do they know which number to call? In my next travel-blog, I will explore the complex interaction chain between the people that text for help and the diverse Ushahidi volunteers- either those based in New York or Port-au-Prince. Who is involved? How does the communication system work? In addition, I will analyze how the received information is verified and how actions are coordinated with the relief agencies. What happens if no geographic coordinates are available, or if the place in question is a slum where there are no official maps? When even experienced international humanitarian agencies face major difficulties in organizing effectively help, how does Ushahidi manage?